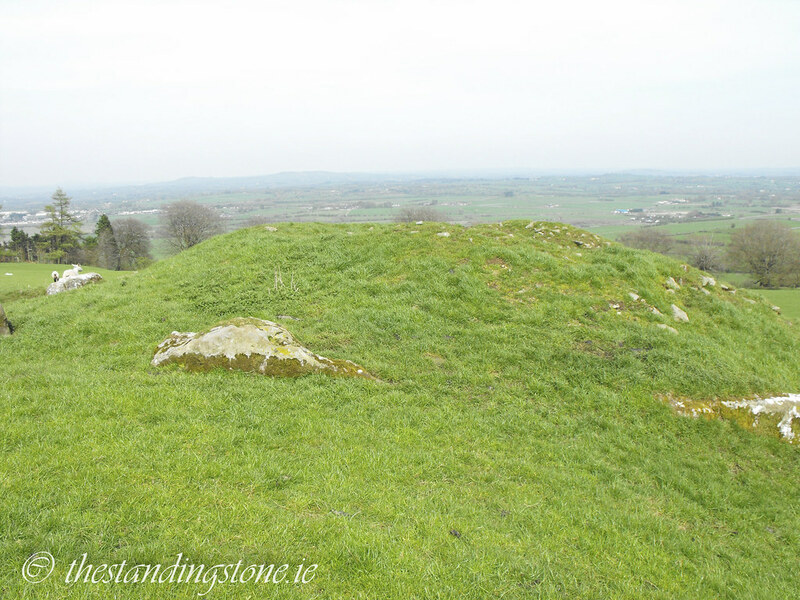 The Standing Stone: Cairn J, Carnbane West, Loughcrew, Co. Meath. 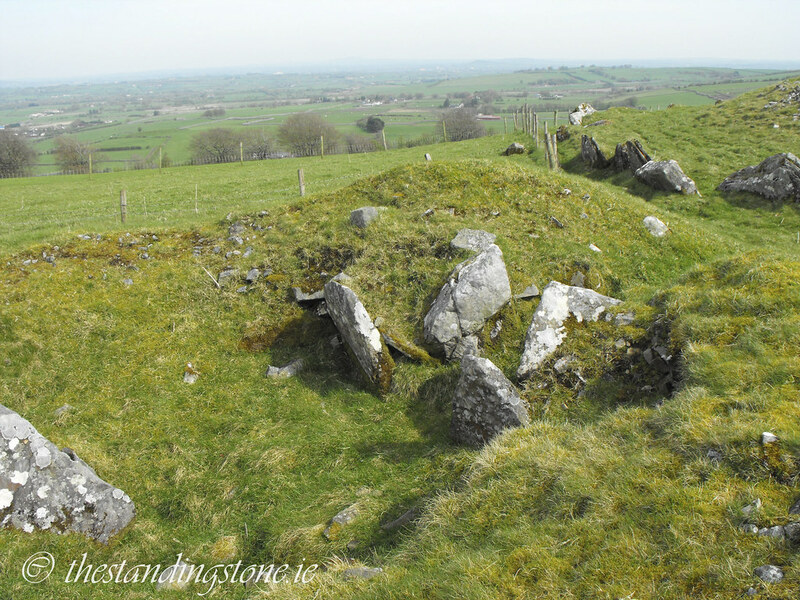 Cairn J, Carnbane West, Loughcrew, Co. Meath. 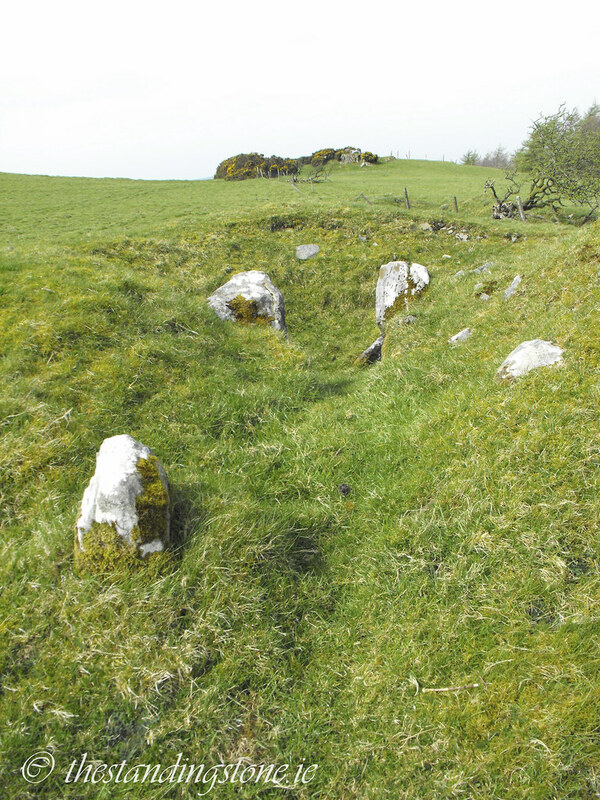 Location – This is the closest tomb to cairn L and it located at the very rear of the larger tomb. 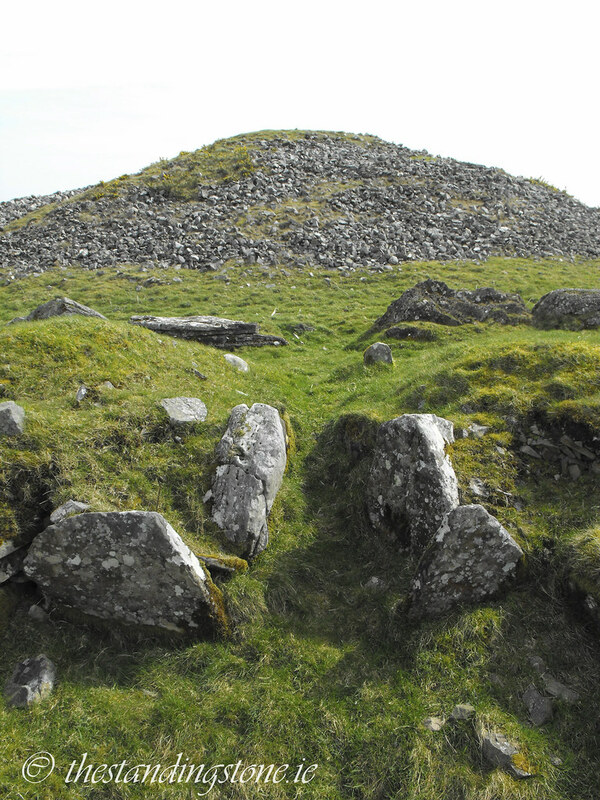 Description and History – Little remains of this tomb which has a circumference of 41m and a diameter of 14m. 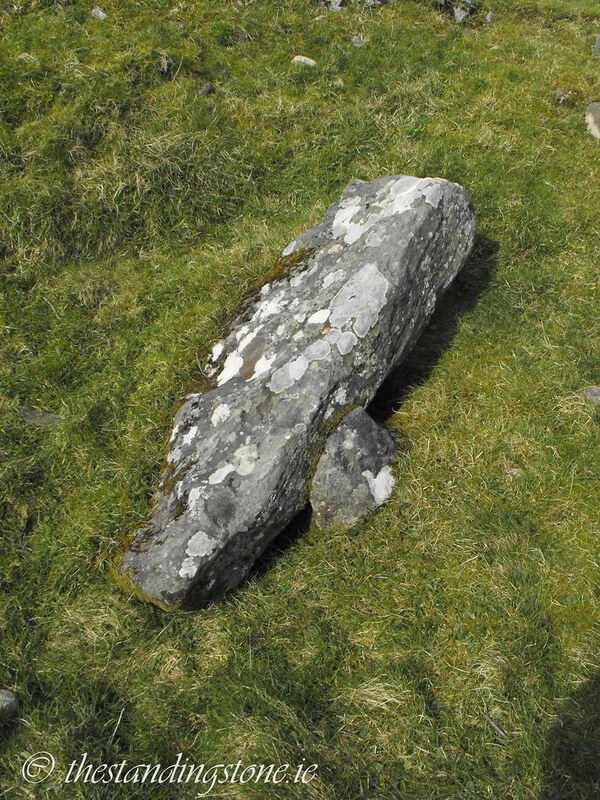 Whatever alignment is there is now blocked by the later cairn L indicating that by the time cairn L was build cairn J had already lost significance. There were three decorated stone recorded in the 19th century, although I could find no trace of these. Difficulty – Directly behind cairn L, easy to find.